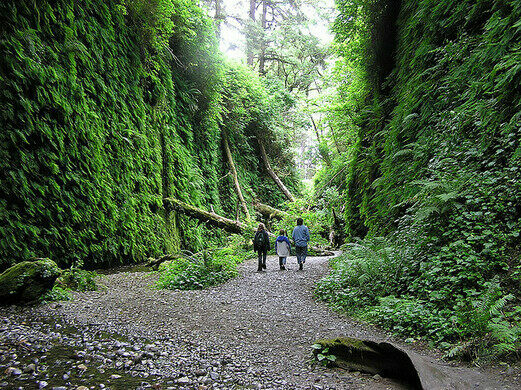 In Northern California’s Prairie Creek Redwoods State Park (just outside of Redwood National Park) is a narrow canyon with walls that stand over 30 feet high. 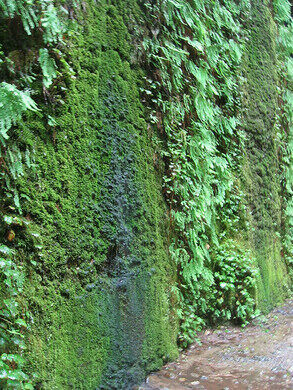 The walls are shrouded in lush ferns and a variety of other planets and mosses. 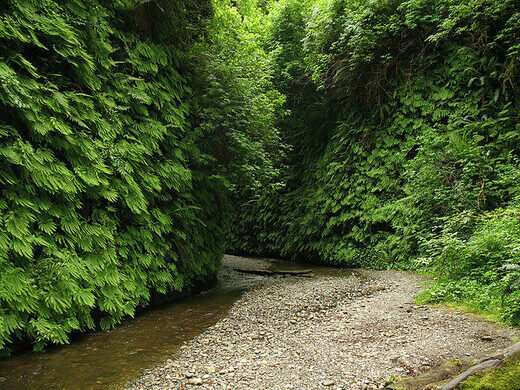 There are five different types of ferns that line the canyon’s walls, some of “whose ancestry can be traced back 325 million years.” The canyon itself is surrounded by a dense forest of coastal Redwoods, including some of the world’s tallest trees. 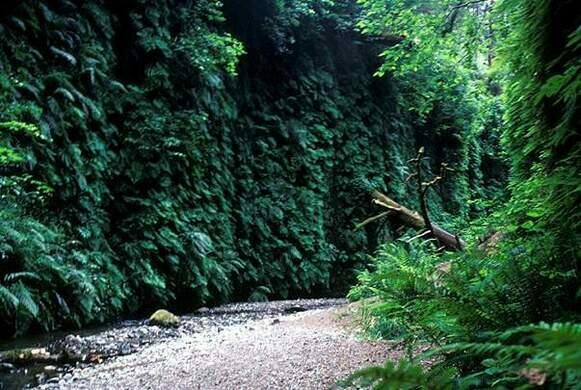 Famous because it was used as a filming location for The Lost World: Jurassic Park and the BBC’s Walking With Dinosaurs, the canyon is visited by many people who use the hiking trail that runs between the fern-covered walls. 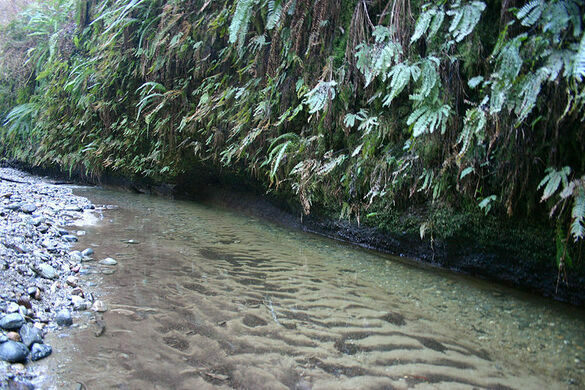 The small creek that runs through the canyon occasionally floods in the winter, but the canyon is typically accessible year around. Know before you go: dogs aren't allowed into the park and the parking lot is in direct sun. So, don't bring your dog. Also, there's a short but not exactly paved road to the area. 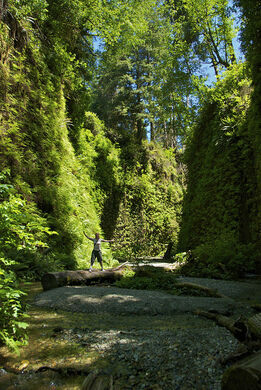 If the water had been higher, our Honda Fit would have been stuck. For those with mobility issues there's a short hike to get from the parking area to the canyon. Bring cash as there is no electricity at the gate, so no credit/debit accepted. There are no signs to warn you about this. Ranger on guard may not let you in without payment.